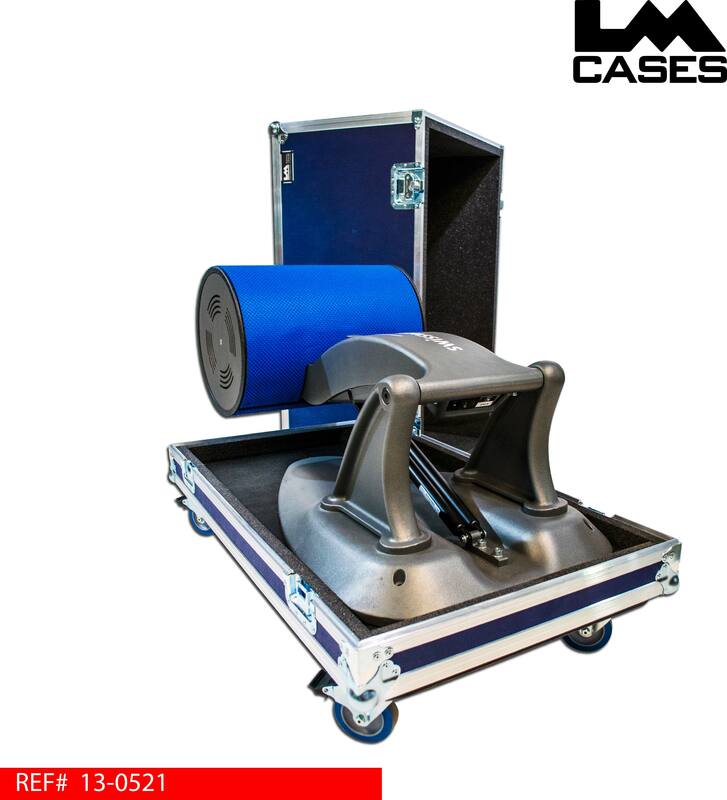 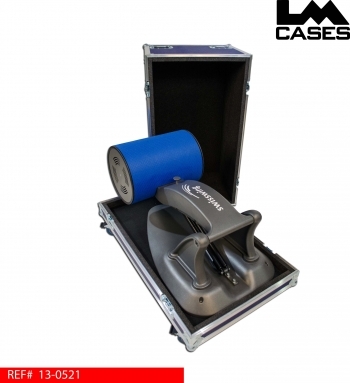 This case was designed for the New England Patriots to transport their Swisswing BMR 2100 therapy machine when they are on the road. The case is built out of 3/8" plywood laminated with dark blue ABS. 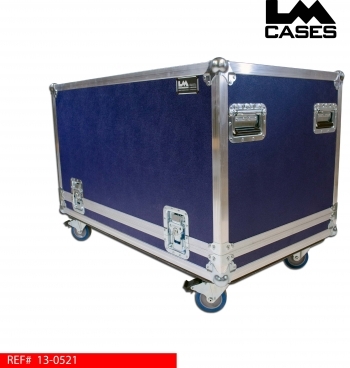 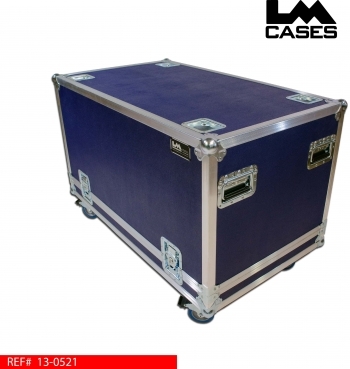 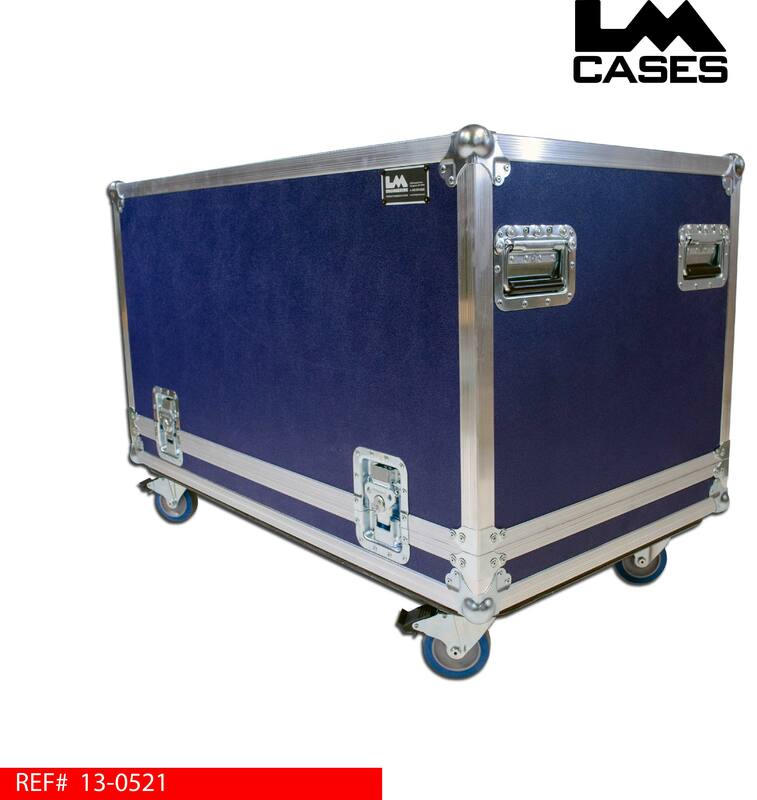 The exterior case features 4" Colson casters, deep recessed handles and stacking caster wells allowing many cases to be stacked.